This one isn’t rocket science, but it’s the flavor profile that knocks my socks off. 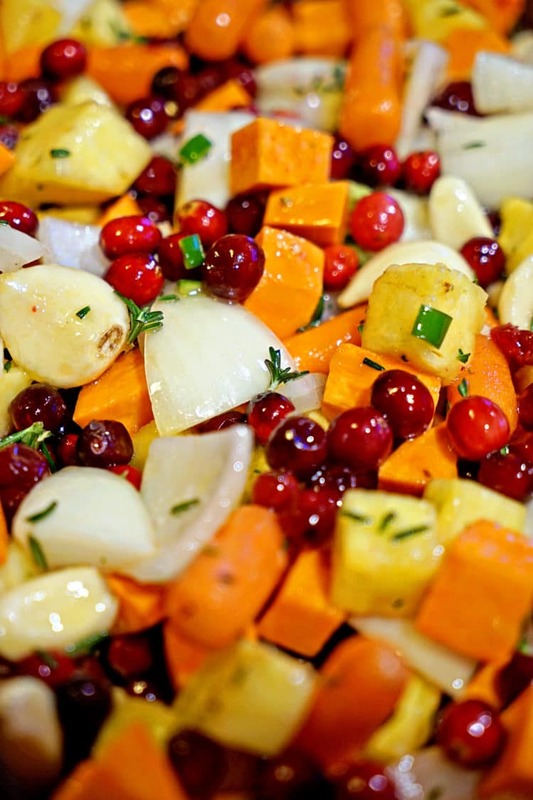 These Roasted Cranberries, Sweet Potatoes and Pineapple are so simple to put together and yet so good. 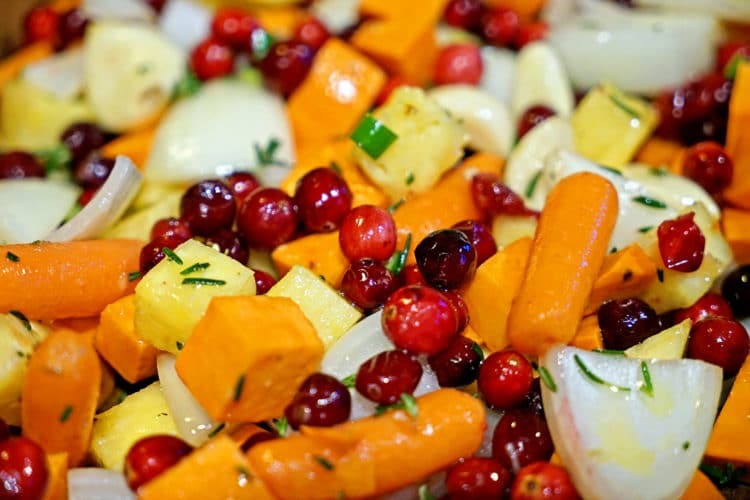 Wanting a quick side dish, roasted vegetables are always a welcomed addition in this house, like these Roasted Vegetables with Chile Yogurt, Cilantro Mint Sauce and Salted Pepitas or even these Roasted Butternut Squash, Cranberries and Celery with Pecans, Rosemary and Lime. There are times I wonder if I could be a vegetarian with dishes like these. 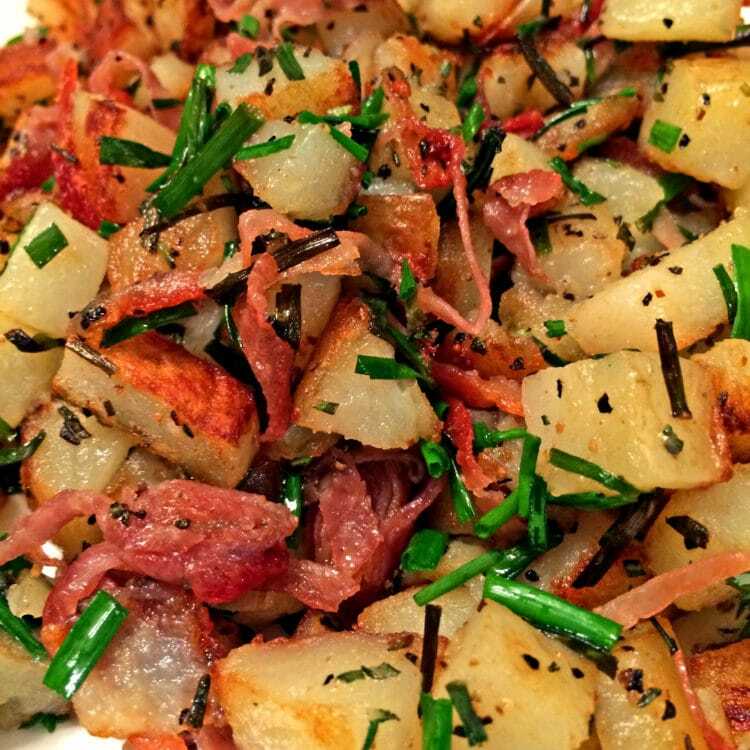 I find incorporating the tart cranberry and or another tangy citrus fruit works so well with the caramelization of the potatoes and onions. 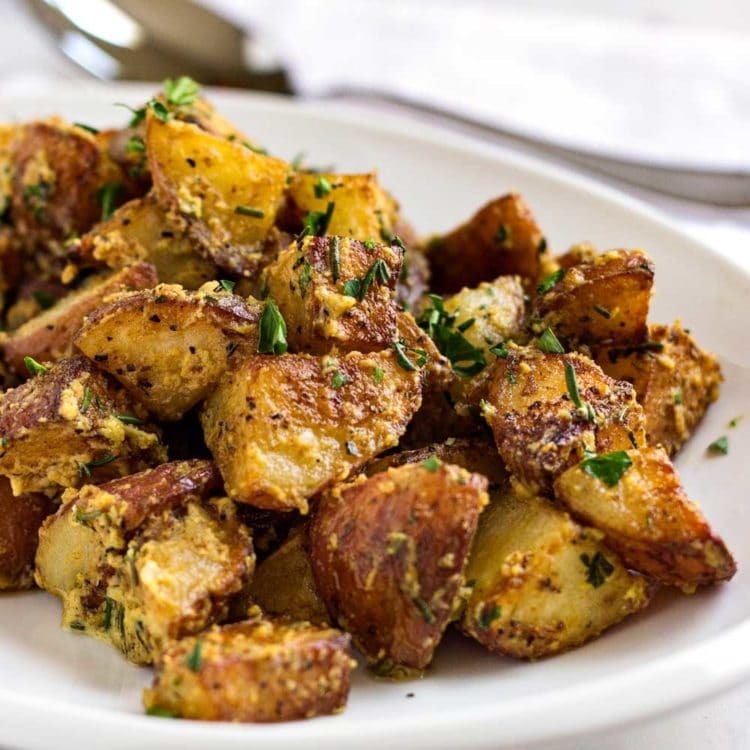 I also threw in a bunch of whole garlic cloves to slow roast and mellow in flavor for a deep, rich, creamy flavor. The heat comes from the Serrano chile and then we pick up some rosemary deliciousness as a back note. The kicker here is the pineapple. Feel free to use canned, but I recently picked up some amazing fresh ones from the Farmers Market and instead of a smoothie these guys made their way into this wonderful vegetable dish. 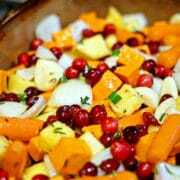 In a large bowl mix together the cubed sweet potatoes, small carrots, pineapple, whole garlic cloves, cranberries and onion. I buy a lot of cranberries when they are fresh and freeze the bags to have on hand when not in season. You can find them in your market’s freezer section as well. Trim stem and scrape out seeds from Serrano chile, dice fine. Remove leaves from fresh rosemary stem, discard stem and fine chop the leaves. 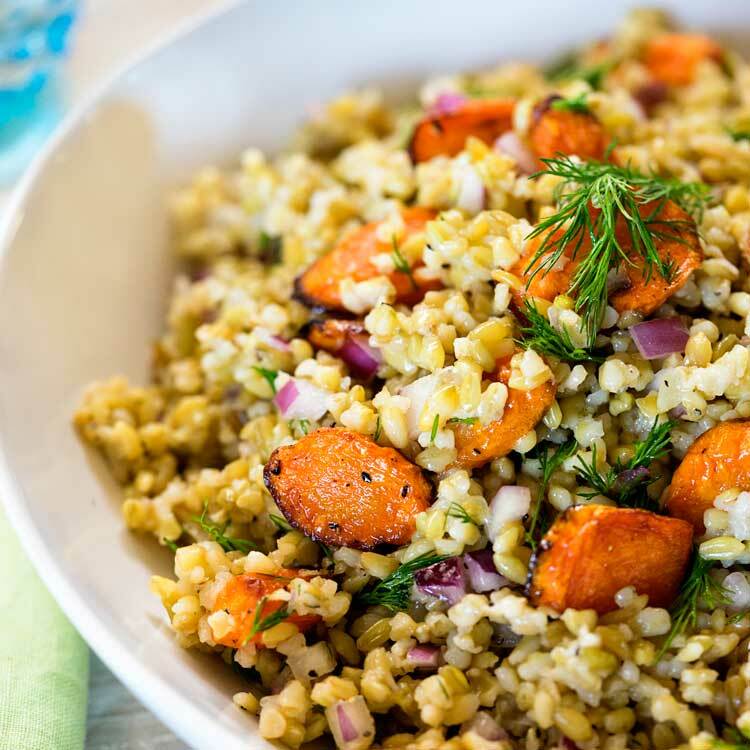 Add to the bowl of vegetables and fruit along with the olive oil and kosher salt. 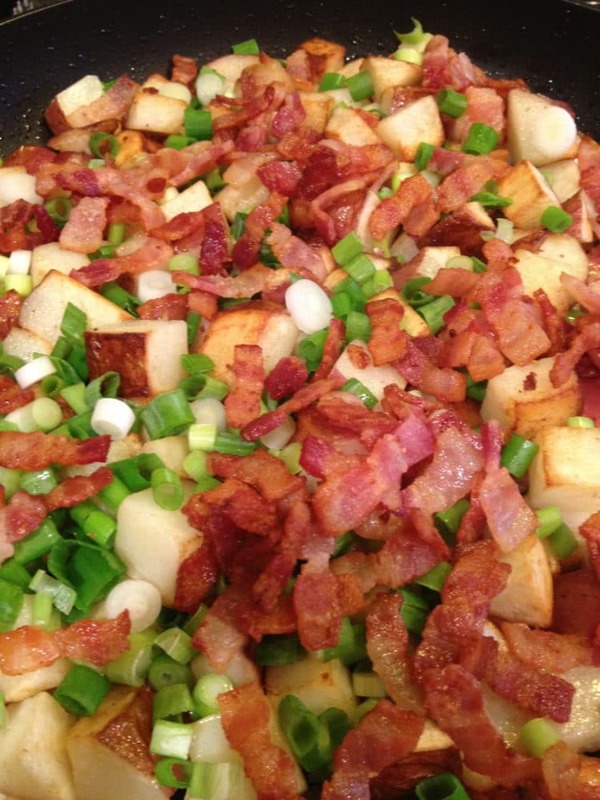 Place in a large pan or stone and roast for 45 minutes, stirring occasionally to evenly brown and crisp. If one pan is too crowded, divide on two. 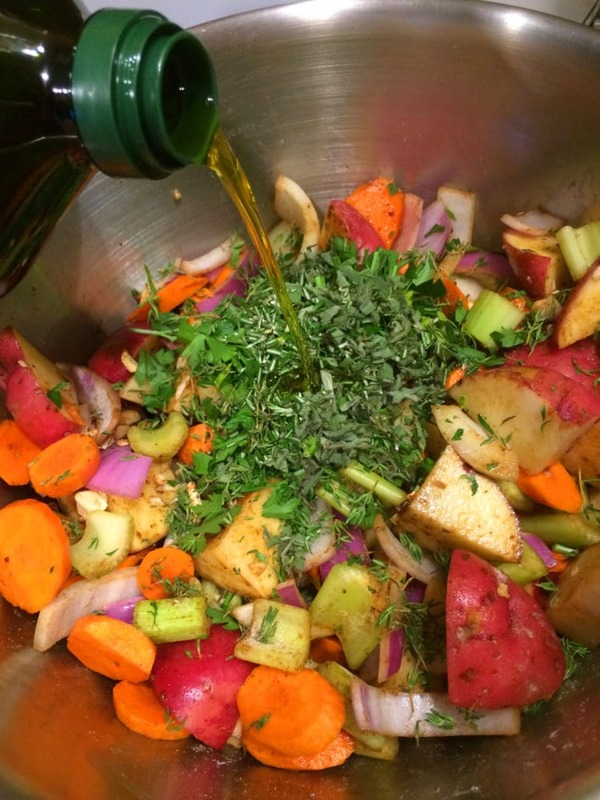 You want crisp, roasted vegetables, not steamed. 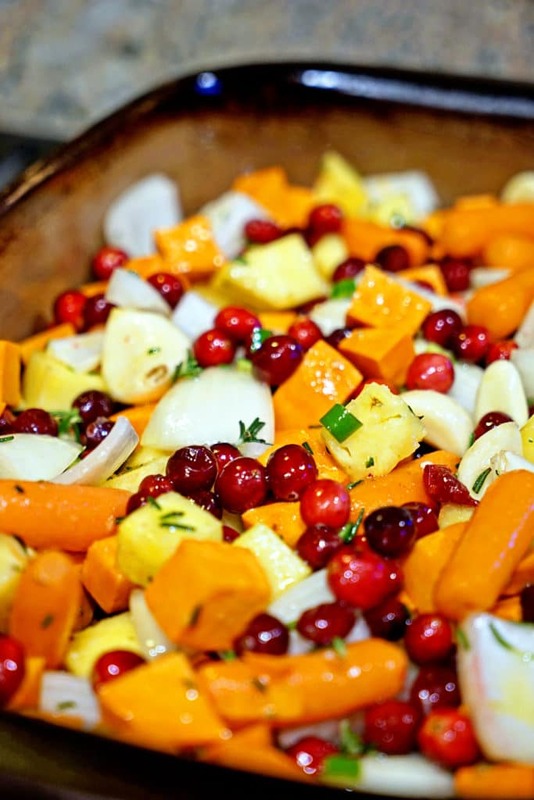 Remove from oven, squeeze the lime juice over vegetables and serve immediately. Enjoy! Roasted Cranberries, Sweet Potatoes and Pineapple with Serrano and Rosemary - Cranberries work so well with the caramelization of the potatoes and onions. 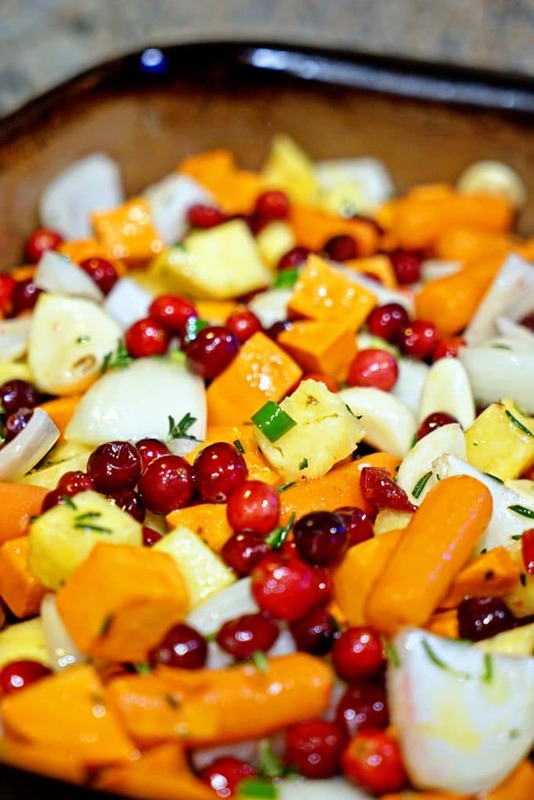 In a large bowl mix together the cubed sweet potatoes, cranberries, pineapple, small carrots, whole garlic cloves and onion. 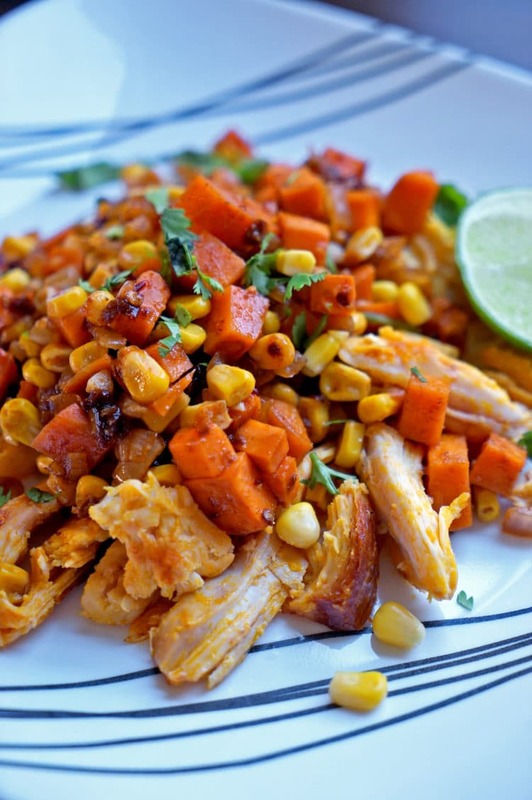 Remove from oven, squeeze the lime juice over vegetables and serve immediately. Kevin, this looks super flavorful, and my friend says it’s really tasty. My problem, though, is that I used all the fresh cranberries from my freezer and couldn’t find any (fresh or frozen) at the store today. Would it be a total abomination to use dried cranberries? I feel like it would, since they are sweetened…please advise! Hey there Chris! I would use dried, but go ahead and soak them for 15 minutes in some water and rinse. That should take out that extra sugar and plump them back up, too. Then roast as directed in the recipe. Let me know how it turns out. Sounds like such a wonderful flavour combination. This is fantastic Kev. 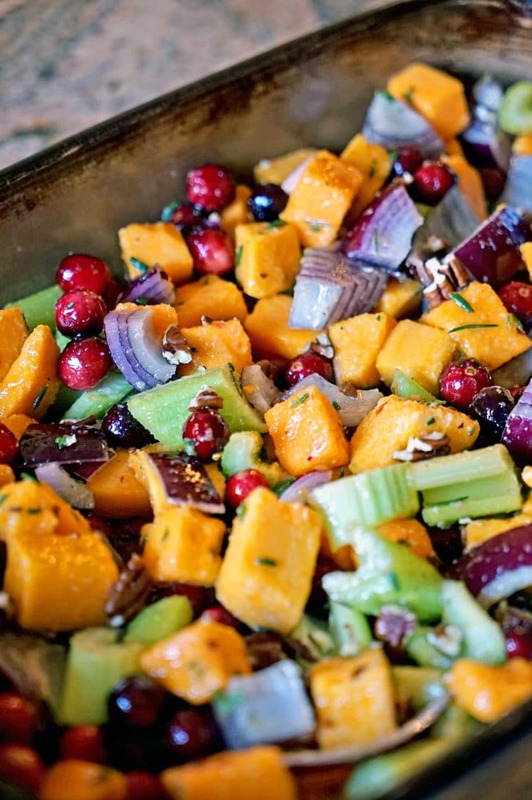 I love roasted pineapple and i just can imagine how well it goes with sweet potatoes and cranberries. A must try! Thanks Mike. I’ve made it three times now in the past couple weeks, so good! #WolfpackEats! I love how bold you are about flavor, Kevin. This looks so delicious! Me loves the spice and BIG flavor for sure! Thanks Chris, funny how sometimes the simplest can be so darn good. #WolfpackEats! Kevin, this is one I am printing out to try! I love all the flavor in here! Most excellent, it won’t disappoint in flavor for sure. I especially love the caramelized pineapple after roasting. These photos are awesome, Kevin! As soon as I saw that pineapple in there, I was like “ooo…pineapple…roasted pineapple…yes! !” I can only imagine how awesome this flavor combination must be. I wish we had a farmer’s market that had fresh pineapples…I’m jealous of all you west coasters right now! Haha! Thanks David. I must say sometimes forget and take for granted the year round fruit here in California and when I read other blogs that state they can’t wait for the next season to come I do a double take. The roasted pineapple caramelizes nicely in this and adds that tang to the spice and creaminess of the roasted vegetables. Such a delicious dish! 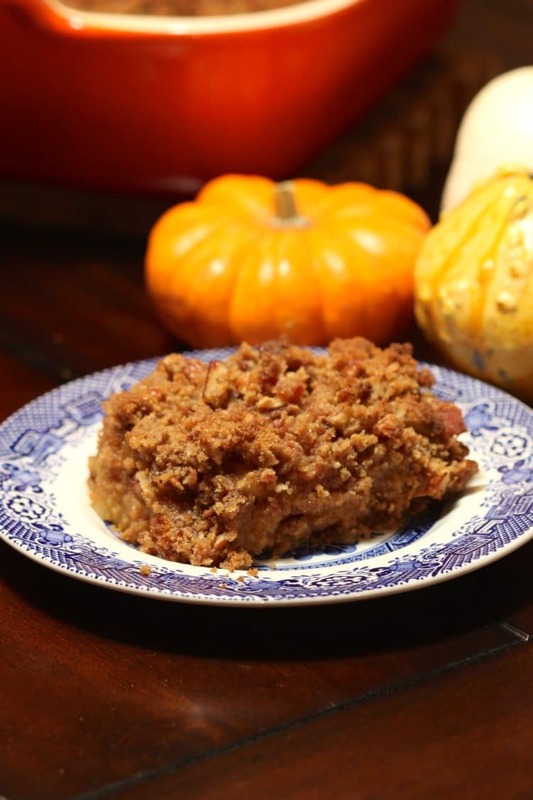 This is a must-try recipe. Great flavour combo. Thanks for sharing.